We get it, you're busy. Your work takes up at one-third of your day (yeah right, more like four-thirds), and making the most of your time is a top priority. That's why we've compiled some of the latest trends and tools that will make your business thrive and help you accomplish more. Or, at least, take the drag out of your day. If you thought R2-D2 was cute, you're really going to love Relay, the robot that delivers—literally. What could your business use an autonomous butler on wheels for? Originally designed for hotels, the makers realize you might want to use this tool to get your files or reports, tools or electronics, office supplies, even lunch orders or snacks on demand around your office. Relay even knows how to use elevators. The unit is secure and reliable and is smart enough to recharge itself when not in use. Keep the mundane tasks to a minimum and use technology in your favor. 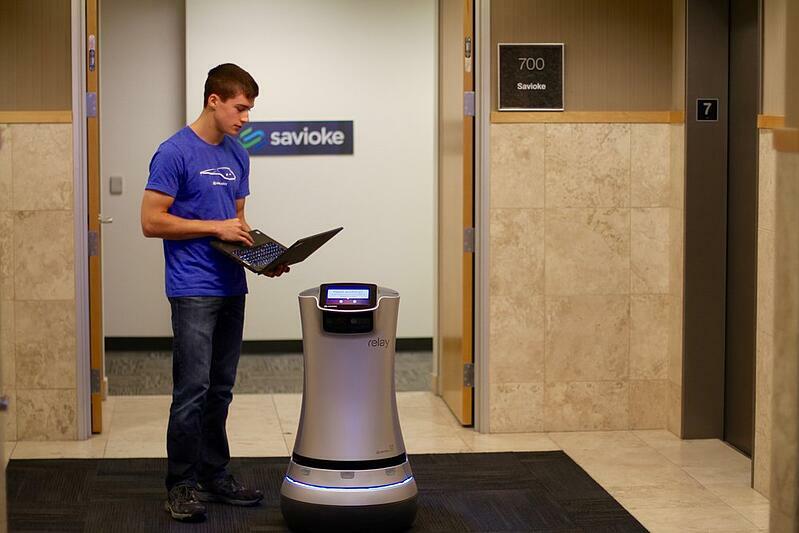 Wait and see, visitor registration will soon include robots to guide guests to their hosts or conference room. While using reclaimed materials have been adding warmth to office interiors, the focus is now the greening of the workplace. 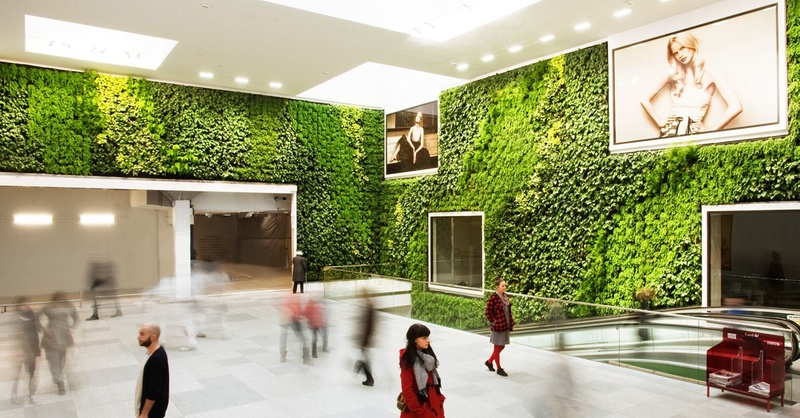 Outlandish or hip wall art is being replaced by living walls, featuring succulents, greenery and moss displayed in very artistic ways. This trend toward more natural surroundings helps bring in more oxygen and create a soothing atmosphere. Now when you do take a minute to look up from our electronics, you aren't just looking at miles of workstations. Mother nature knows best. Finally, the collaborative business environment took over the last few years, but alone time can be crucial, which is why yoga and meditation rooms are becoming more commonplace. 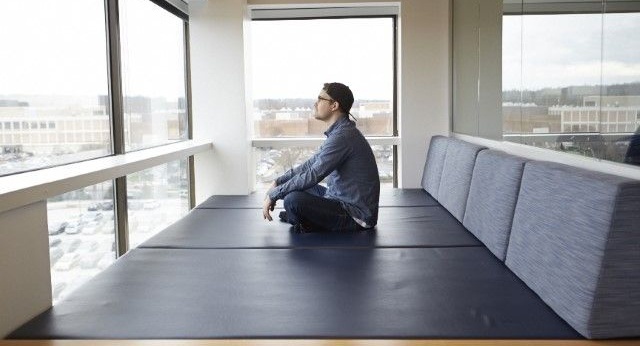 Setting up a space for employees to clear their minds can be as simple as emptying a small office or meeting area and replacing the furniture with beanbag chairs or pillows. The advantages to having such a place go beyond mindfulness and health. Having staff more focused will lead to greater productivity, so even a 15-minute break can prove highly rewarding. Namaste--forgot an espresso machine, this office perk will really energize your employees. With everything online, it's all about who's using our sites, right? Oribi is essential for any business that wants to condense statistics and analytics, making them easy to interpret in a world that is filled with an overwhelming amount of data. This tool is ideal for marketing and sales, helping simplify the complicated. Track content, manage branding and learn what works and what doesn't. While open-floor workspaces have been all the rage, studies are now showing that productivity often decreases with these non-private designs. That doesn't mean you have to sit at a stodgy desk all day, even behind closed doors. Modern office furniture can have a surprisingly positive impact on your workday. Consider a more laid back arrangement, using a work smarter Office Star chair with its own charging station built right in. There's even a love seat, ideal for one-to-one business collaborations. Work takes up more of our time than ever. The workplace must be practical and enjoyable to keep top employees. And to allow them to focus on the tasks that really matter. Although we often view technology as impersonal, implementing high touch technologies can boost productivity and office morale. 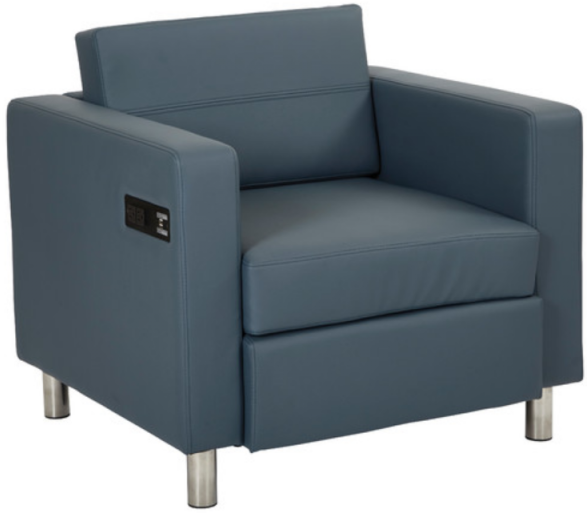 Office furniture has also been re-designed for technology as well as comfort. Add instant communication tools and workplace customization that can change as needs do throughout the day and your workplace will really work for you.